Obesity and related chronic diseases account for an increasingly large portion of the disease burden in the United States and around the world. However, physicians are often not adequately trained in obesity treatment and prevention. Medical education at all levels must change to better prepare physicians to tackle obesity. On an institution level, medical schools and residency programs must take the initiative to weave obesity training into their education programs. On the national level, policy makers and advocates must leverage national accountability mechanisms and funding conditions to ensure all healthcare professionals are competent in obesity treatment and prevention. Failing to implement these changes could have serious public health and economic consequences. Obesity-linked chronic diseases, including heart disease, stroke, and type 2 diabetes (T2DM), account for 7 out of 10 deaths in the United States today. Moreover, the management of obesity and related chronic diseases contributes an estimated 75 percent of the over $2 trillion spent on healthcare in the United States each year. These trends are global. In the developing world, rates of obesity and linked diseases are increasing faster than in the United States. In China, childhood overweight and obesity increased six-fold from 2 to 12 percent between 1980 and 2015. An estimated half of all humans with diabetes now live in China or India. Diseases traditionally associated with wealth and the Western diet have become the greatest killers of the poor in the developing world. Despite the increasing prevalence of obesity, many physicians lack an understanding of the proven treatments for obesity, namely lifestyle modification, pharmacotherapy, and bariatric surgery. Medical education is largely to blame. More than half of graduating medical students rate their nutrition knowledge as inadequate, and only 14 percent of internal medicine residents feel qualified to offer nutrition counseling to patients. [12,13] This is unsurprising considering United States medical schools offer, on average, 19.6 hours of nutrition education over the course of a four-year medical degree, accounting for less than one percent of total lecture hours. Moreover, a survey of physicians in primary care practices affiliated with Massachusetts General Hospital found that the majority of providers do not fully understand the indications, risks, and benefits of bariatric surgery. Medical training at all levels must change to better prepare physicians to tackle obesity. This change should be pursued both at individual institutions and nationally. Medical schools and residency programs should take the initiative to incorporate more obesity content into their training programs. Likewise, policy makers and advocates should leverage national accountability mechanisms and funding conditions to ensure healthcare professionals are all competent in obesity treatment and prevention. Weaving obesity education into medical training should be viewed as a creative opportunity for medical educators. Offering traditional lectures on topics relevant to obesity, such as nutrition, exercise, stress management, and bariatric surgery, are a possible effective approach. 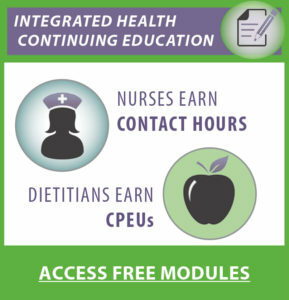 For resource-limited institutions, the University of North Carolina offers the free, online, lecture-based curriculum “Nutrition in Medicine: Evidence-based Clinical Nutrition Education for Medical Students, Residents, Fellows, and Other Physicians” available at http://nutritioninmedicine.org/. Alternatively, training institutions could pursue more innovative approaches to obesity education by modeling, for example, Tulane University’s culinary medicine program, which provides hands-on training for medical students through culinary medicine classes in the form of electives and seminars as well as continuing education for the healthcare and foodservice industries. On national and state levels, numerous policy and accountability levers should be pursued in tandem. First, accreditation standards for medical schools and residency programs should be changed to require comprehensive obesity education for all graduates. The Liaison Committee on Medical Education (LCME), the accreditor of medical schools in the United States and Canada, should mandate robust obesity training at all medical schools. On the graduate level, the Accreditation Committee on Graduate Medical Education (ACGME), the accreditation body for residency programs, as well as specialty-specific accreditation organizations should make robust obesity training a requirement for all residency programs. Second, certification examinations, from the United States Medical Licensing Examination (USMLE) and specialty-specific examinations, should be revised to incorporate significant obesity-related content. Because scores on these exams factor heavily into a medical trainee’s career opportunities, trainees are strongly incentivized to score well. Therefore, testing obesity-related content on these exams would encourage all medical trainees to strengthen their knowledge of obesity treatment and prevention. Third, federal and state governments should use their control of graduate medical education (GME) funding to mandate obesity training as part of medical training. Federal and state governments, mostly through Medicare and Medicaid, contribute over $15 billion per year to GME, accounting for a large portion of resident salaries and residency program administration costs. The federal government should attach conditions to Medicare GME funding, mandating obesity training in all residency training programs. Likewise, state governments should make Medicaid funding for GME contingent on similar requirements. It is clear that medical education must evolve to train physicians to combat obesity, arguably the largest menace to health today. If these local and national approaches were implemented together, all physicians would finish their training better equipped to tackle obesity. It is our collective responsibility as medical professionals and citizens to ensure our patients benefit from the most appropriate obesity treatment and prevention strategies. The well-being and financial vitality of future generations is at stake. 1. Centers for Disease Control and Prevention. Chronic disease and health promotion. 2014. http://www.cdc.gov/chronicdisease/. Accessed March 8, 2017. 2. Institute of Medicine. Living Well with chronic illness: A call for public health action. January 2012. http://www.nationalacademies.org/hmd/~/media/Files/Report%20Files/2012/Living-Well-with-Chronic-Illness/livingwell_chronicillness_reportbrief.pdf. Accessed March 8, 2017. 3. Centers for Disease Control and Prevention. Adult obesity facts. http://www.cdc.gov/obesity/data/adult.html. Accessed March 8, 2017. 4. Centers for Disease Control and Prevention. Childhood obesity facts. http://www.cdc.gov/obesity/data/childhood.html. Accessed March 8, 2017. 5. Centers for Disease Control and Prevention. Long-term trends in diagnosed diabetes. 2014. https://www.cdc.gov/diabetes/statistics/slides/long_term_trends.pdf Accessed March 8, 2017. 6. Centers for Disease Control and Prevention. More than 29 million Americans have diabetes; 1 in 4 doesn’t know. June 10, 2014. https://www.cdc.gov/media/releases/2014/p0610-diabetes-report.html Accessed March 8, 2017. 7. Narayan KM, Boyle JP, Thompson TJ, et al. Lifetime risk for diabetes mellitus in the Unites States. JAMA. 2003;290(14):1884–1890. 8. Olshansky SJ, Passsaro DJ, Hershow RC, et al. A potential decline in life expectancy in the United States in the 21st century. N Engl J Med. 2005;352(11):1138–1145. 9. Ji CY, Cheng TO. Epidemic increase in overweight and obesity in Chinese children from 1985 to 2005. Int J Cardiol. 2009;132(1):1–10. 10. Shetty P. Public health: India’s diabetes time bomb. Nature. 2012;485(7398):S14–S16. 11. “The Maladies of Affluence.” The Economist. August 9, 2007. http://www.economist.com/node/9616897 Accessed March 8, 2017. 12. Adams KM, Kohlmeier M, Zeisel SH. Nutrition education in U.S. medical schools: latest update of a national survey. Acad Med. 2010;85(9):1537–1542. 13. Vetter ML, Herring SJ, Sood M, et al. What do resident physicians know about nutrition? An evaluation of attitudes, self-perceived proficiency and knowledge. J Am Coll Nutr. 2008;27(2):287–298. 14. Stanford FC, Johnson ED, Claridy MD, et al. The role of obesity training in medical school and residency on bariatric surgery knowledge in primary care physicians. Int J Family Med. 2015;2015:841249. 15. Nutrition in Medicine: Evidence-based Clinical Nutrition Education for Medical Students, Residents, Fellows, and Other Physicians. http://nutritioninmedicine.org/ Accessed March 8, 2017. 16. The Goldring Center for Culinary Medicine: Tulane University School of Medicine Teaching Kitchen. https://culinarymedicine.org Accessed March 8, 2017. 17. Heisler EJ, Jansen DJ, Mitchel A, Panangala AV, Talaga SR. Federal support of graduate medical education: An overview. Congressional Research Service. 2016. https://fas.org/sgp/crs/misc/R44376.pdf Accessed March 8, 2017.